When your friends ask you to make a smashing cake with cupcakes for their little girl’s first birthday, it’s impossible to say no especially when the given criteria includes reading and animals. 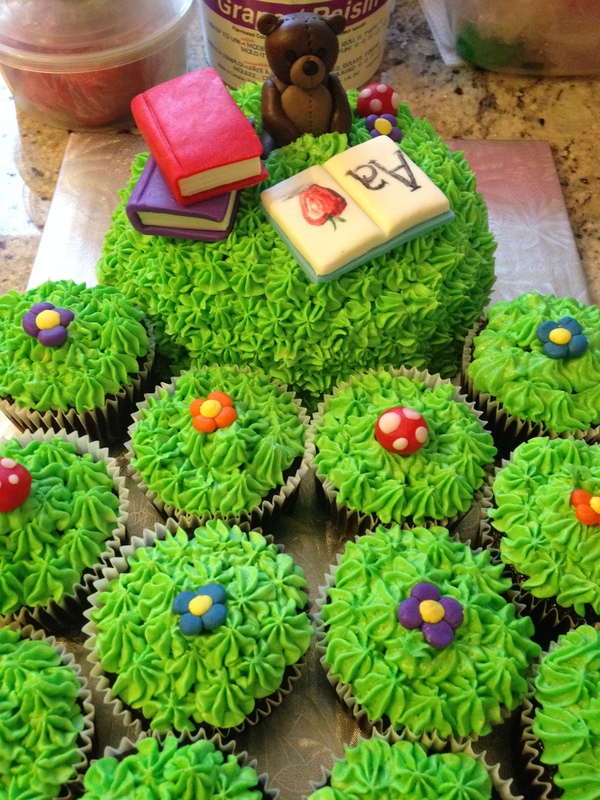 The result is a fun little cake featuring teddy bear on a grassy hilltop learning how to read. 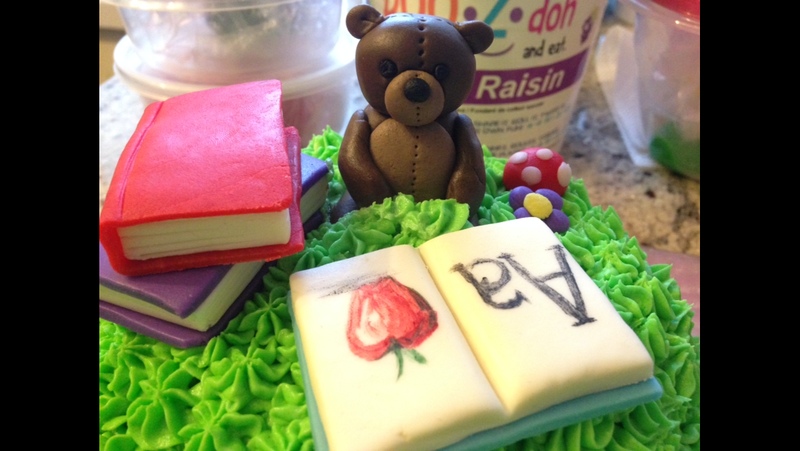 The studious bear was shaped using sculpting chocolate while the toadstools and flowers were made from fondant.